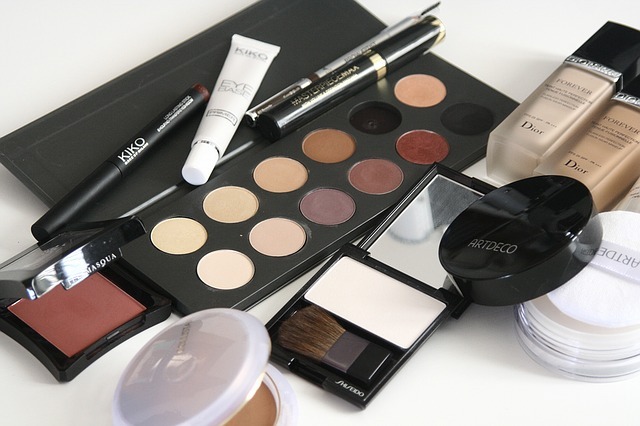 Makeup care for acne skin is very important to know when you have acne-prone skin and tend to get breakouts. Knowing what types of makeup to look for that will enhance your beauty and conceal blemishes without clogging your pores will save you many unnecessary problems. Finding a makeup suited for oily skin that wont fade,look patchy, or completely rub off can be quite difficult to find. Summers and high humidity can add yet more problems. Some concealers will actually accentuate your imperfections if the product is improperly used or not the best pick for your skin type. Look for a quality water-based foundation that has lightweight consistency and allows your skin to breathe. A light-weight foundation is easily buildable to add more coverage if needed and you still have control over it looking too made up or cakey. Oil-free makeup formulas can also include anti-shine properties that help control shine. They are designed to be long-lasting and leave you with a natural, soft- matte complexion. You may have to put a few products to the test until you find one you will be happy with. Oil -infused formulas or enhanced blends with loads of shimmer and sparkle are best avoided. Makeup doesn't cause acne,however, a good skincare routine is critical to keep acne under control. Include a gentle salicylic acid (a beta hydroxy acid) based cleanser in your daily regimen. Salicylic acid is a popular treatment ingredient found in many products used for many types of acne to help prevent pore blockages and keep them clear. Follow up with a toner to help remove any last traces of dirt or oil and replenish your skin with nourishing ingredients before you continue on with any treatment medications prescribed by your physician. A well-formulated toner will contain antioxidant and hydrating ingredients to enhance your skin and have soothing agents to calm redness. Avoid toners that contain aggravating ingredients such as alcohol,menthols, witch hazel or fragrances. NOTE-Not removing your makeup before bed is a problem that can aggravate or contribute to acne. Sleeping with make-up can worsen complexion pore-clogging. When looking for beauty products that won’t clog your pores look for “noncomedogenic” on the label. Since some fragrances can cause bad skin reactions you may want to look for products that are “fragrance-free” especially if you have a super-sensitive skin type. If “going green” is important to you, be aware the term “natural” can be confusing and unclear because there is no standard and manufacturers can use “natural” labeling freely. To ensure you are actually getting a synthetic free product, look for products that are certified organic and have the USDA seal. Today,consumers have to educate themselves on the products we use. Some cosmetic ingredients that some companies use to make up a formula tend to do more harm than good. Its crucial to avoid some ingredients that are known to irritate skin, especially if your skin type is already a concern. Stay away from pore clogging ingredients such as Mineral oil, petrolatum, and paraffin wax. Actylated Lanolin, Alcohols, Butyl Stearate, Isopropyl myristate, and Sodium Lauryl Sulfate are also a few of the many ingredients you should avoid. Match up a color to complement your skin tone -Products come in an array of different shades(light -dark) and undertones(cool-warm) to choose from. Its important to color match your foundation to your facial skin to achieve the best natural look. When testing makeup , the shade that blends in better and disappears into your skin with out a demarcation line along the neck is a match. PRIMERS-A primer will form a layer between your skin and any foundation /eye makeup to create a smooth, even surface to help achieve cosmetic perfection. It will help extend the wear of your makeup, keep it in place, and minimize the appearance of pores. Some brands have color corrector ingredients to reduce redness. BLOTTING PAPERS-To help curb excess oil from ruining your makeup keep a few blotting sheets with you to touch up any break through oil areas. Facial tissues help soak up any extra oil moisture that will separate your foundation. Setting Powders /sprays - Finishing powders or sprays help give the final matte finish. Powders do a good job of setting your foundation and continue to help blot up /absorb oil throughout the day/nite. Loose or pressed facial powder can be used as a re-touch. Mattifying mist sprays are used after all makeup is applied to help set makeup. Most are designed to last 6-8 hours. Blush/ eye makeup-When selecting a blush or eye makeup, a powder type product usually works best. Creams tend to melt and crease and accentuate oily skin. Stay away from glitter and shimmer formulas. Sponge Application-Using a beauty blending sponge for your makeup application will enable you to get even coverage with a airbrush like finish. Getting familiar with the benefits a sponge can do versus using your fingers, will convince you to include this in your “must have” tools. The sponge is a great tool to seal in foundation to appear smooth and silky on the face. Its teardrop design is great for blending,contouring and defining. Makeup care for acne skin -cosmetic products that's designed to work together with your particular skin type offer the best benefits and eliminate alot of guess work.